I’m in the process of re-editing images from my 2007 trip to Death Valley. 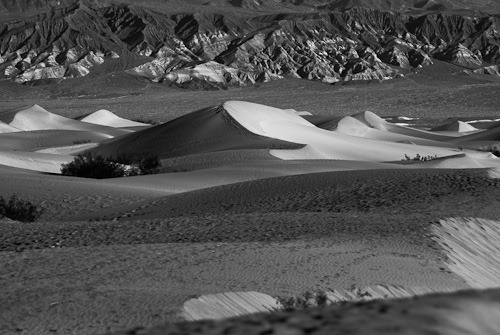 While I still enjoy the creative aspects of shooting and developing black and white film, when travelling shooting digital offers convenience, flexibility, and a lower cost. 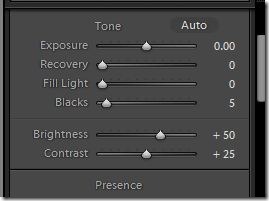 Some digital cameras offer built-in greyscale conversion, and some of the latest models such as the Nikon D7000 also include simulated filters. However, if you’re photographing landscapes I strongly recommend shooting RAW and converting in post. 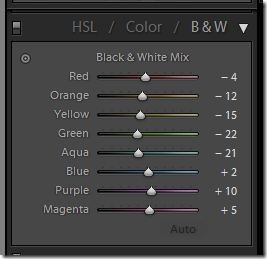 I use Lightroom for most of my editing these days, and the product includes a number of good presets for black and white conversion. I usually try them first. However, in this case the original image is very flat so I went the manual route. First, I adjusted the image, slightly tweaking the black level, brightness and contrast. 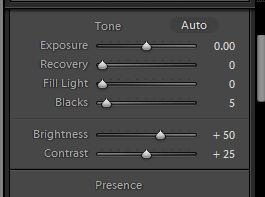 Since the majority of the digital information was in the middle of the range, I left the exposure level alone. Next, I used the Tone Cure to significantly increase the contrast. I spent most of the time here. 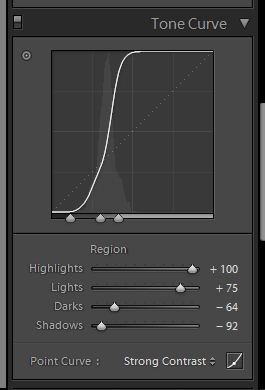 Note that the sliders at the bottom of the histogram set the areas of the curve (regions) that are changed by the Highlights, Lights, Darks, and Shadows sliders. Finally, I converted to B&W by selecting “B&W” and tweak the mix slightly. Depending on where the image is to be used I likely would tweak this some more, but as you can see even such a flat colour image can be turned into a reasonable black and white image. If you’re looking for more advanced information, Adobe has a great video tutorial. Happy converting! This entry was posted in Technique, Tutorials by Eric. Bookmark the permalink.